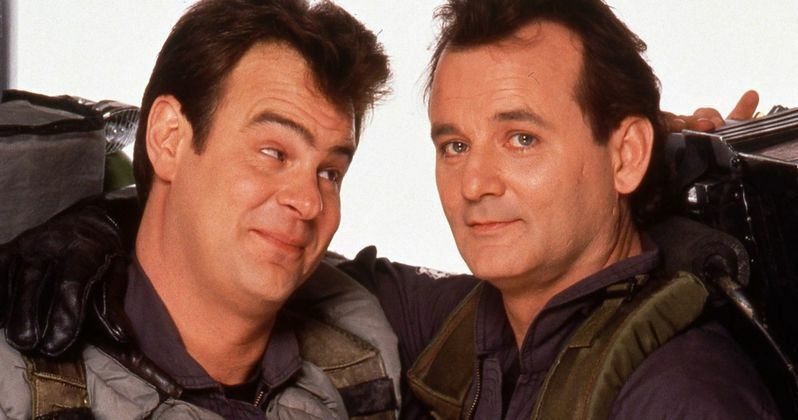 Zombieland 2 Gets Ghostbusters Stars Bill Murray & Dan Aykroyd? Bill Murray may be coming back for Zombieland 2, and he could be bringing another one of the original Ghostbusters with him. After nearly a decade, Sony is finally pulling the trigger and giving us a sequel to Zombieland. The entire original creative team is coming back and, if this new report is to be believed, it sounds like the best part of the original movie will be back as well. We should caution up top that, for the time being, this should be regarded as a rumor since it's not coming from anyone related directly to the production or from the studio. That being said, according to a new report, Bill Murray will be back for Zombieland 2 alongside Dan Aykroyd. As it stands, details on their roles haven't been revealed, but it's fairly safe to assume these would be cameos. Especially considering that Murray was killed in the first movie rather memorably. Though, it's quite possible we could see him come back as an actual zombie. As for how Dan Aykroyd would fit in? Perhaps he could be the human celebrity cameo who has somehow survived for a decade in the zombie wasteland. It's quite likely that this casting won't be confirmed until the movie actually makes its way to theaters, since this is the kind of thing that the studio would probably want to keep as a surprise. What we know for sure is that all four of the original core cast members, Emma Stone, Jesse Eisenberg, Woody Harrelson and Abigail Breslin, will be back. Zoey Deutch has also reportedly joined the cast in an unspecified role. While the studio hasn't released an official synopsis, we know that the sequel will pick up a decade after the events of the original, so we're going to see what a zombie apocalypse looks like after quite a bit of time has passed. There have also been reports that the gang will be fighting hordes of super zombies. Director Ruben Fleischer, who is coming hot off of Venom, is returning to the director's chair for the sequel. Additionally, writers Rhett Reese and Paul Wernick, who have gone on to write both Deadpool movies, in addition to several other high-profile projects in the years since the original came out, returned to pen the screenplay for Zombieland 2. All of the right pieces are in place. Zombieland was released in 2009 and was a relatively modest success at the box office, bringing in $102.3 million. In the years since, there has been lots of talk about getting a sequel going, but nothing materialized until recently. A pilot for a Zombieland TV series was shot for Amazon, but it wasn't picked up to series. Production on the sequel is set to begin very soon. We'll be sure to keep you posted as any additional details on the project are made available. Zombieland 2 is set to hit theaters on October 11, 2019. This news was first reported by Geeks Worldwide.